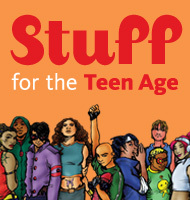 This summer teens are included in our Summer Reading Incentive Program. In a nut shell – read books and win prizes. Normally we receive a voucher for a pair of tickets to see a baseball game at PNC Park in Pittsburgh to be used at the end of the program. However, this year we received 10 vouchers good for a pair of tickets at a PNC Park, but they had to be used before the summer reading incentive program was ever over. So this year we decided to give them away before hand to children and teens who signed a contract and agreed to participate in the program. We still have books and gift cards to give away at the end of the program. So it isn’t to late to come in and fill out a reading Contract. We hope you’ll join us for the 2011 Summer Reading Inncentive Program. We would like to thank the Pittsburgh Pirate Organization for their yearly support of the Mary S. Biesecker Public Library’s summer reading program. This entry was posted in Reading Programs and tagged Baseball, Pittsburgh Pirates, Reading. Bookmark the permalink.